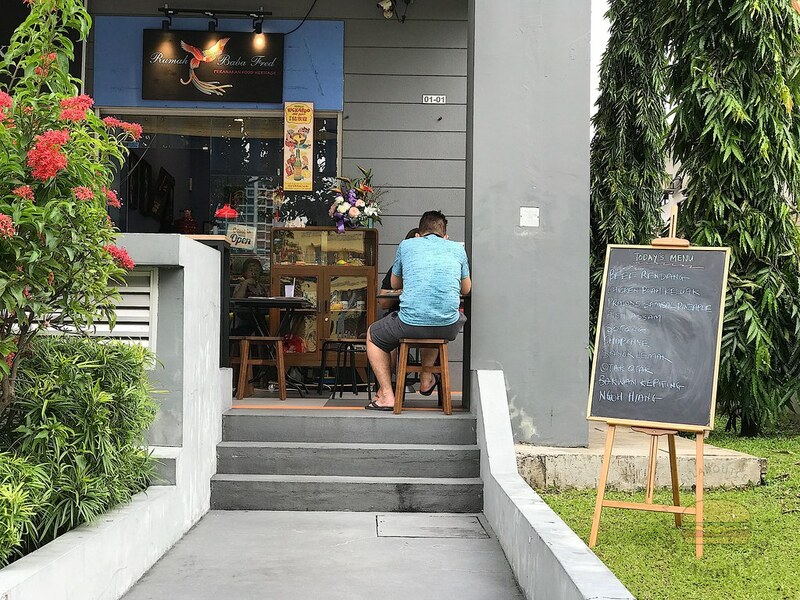 This Peranakan cafe is located along Changi Road run by a passionate husband and wife team. It is quite small with limited seating capacity indoor and outdoor. It is cozy and welcoming, just like eating at a friend's house. I ordered a bundle of Nonya Kueh Chang on their Facebook and went to collect it on a Saturday. I waited in front of their counter, behind another customer. Baba Fred was serving that customer and his wife greeted me. She asked, "Collecting your chang?" I nodded then said, "I am having lunch too." She placed a piece of banana leaf on a plate then scooped some rice on it. 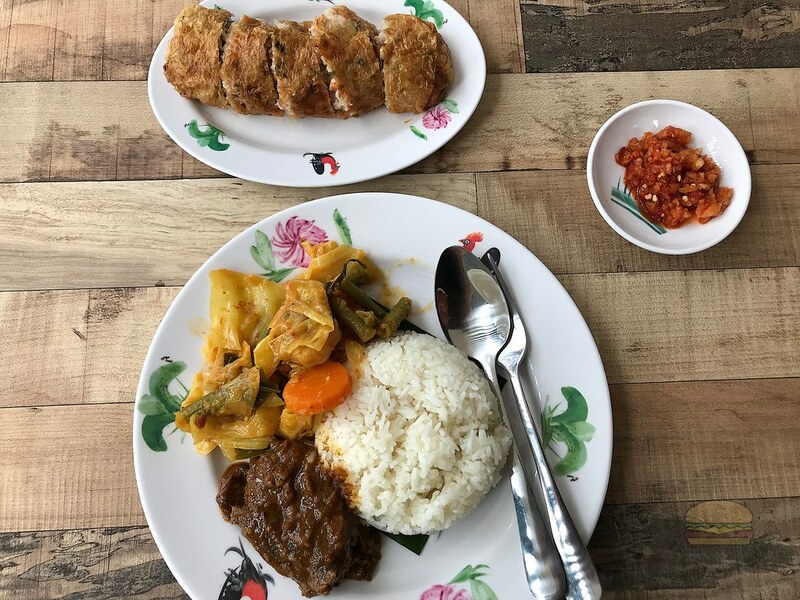 I pointed to the Beef Rendang and the Curry Vegetable followed by a piece of Ngor Hiang. I also ordered a glass of Lemon Grass to go along. 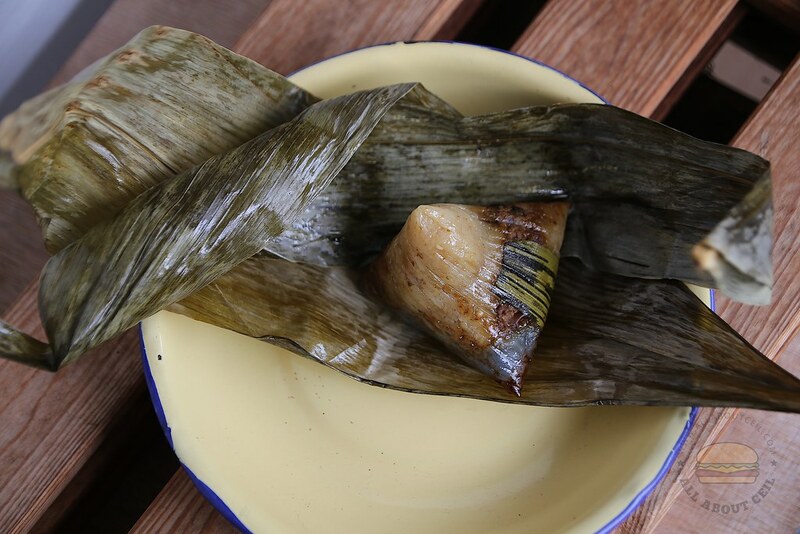 She said, "You go take a seat first, I will heat up the Ngor Hiang and bring it to you together with the Lemon Grass drink." I went to take a seat outside the shop. She brought the Ngor Hiang over first. She said, "If you could not finish the Ngor Hiang, I can pack them for you to take away." Baba Fred sent the Lemon Grass drink later. He asked, "You are collecting your chang too? It is under what name?" I mentioned it. His wife came over later with the Lemon Grass drink and also a bag of Nonya Kueh Chang. She counted them to make sure it is 10 pieces. She also presented a receipt that stated the amount to pay for the lunch. There were another 2 customers seated at the table beside me. The wife walked past with their orders. She smiled and said, "You managed to finish the Ngor Hiang." I replied, "It tasted different from others." She said, "We freshly made them with quite a few ingredients." I said, "It is very nice." These classic Nonya dishes were so comforting. Their Nonya Kueh Chang is only available upon advance order. It has already fully booked for the month of August. 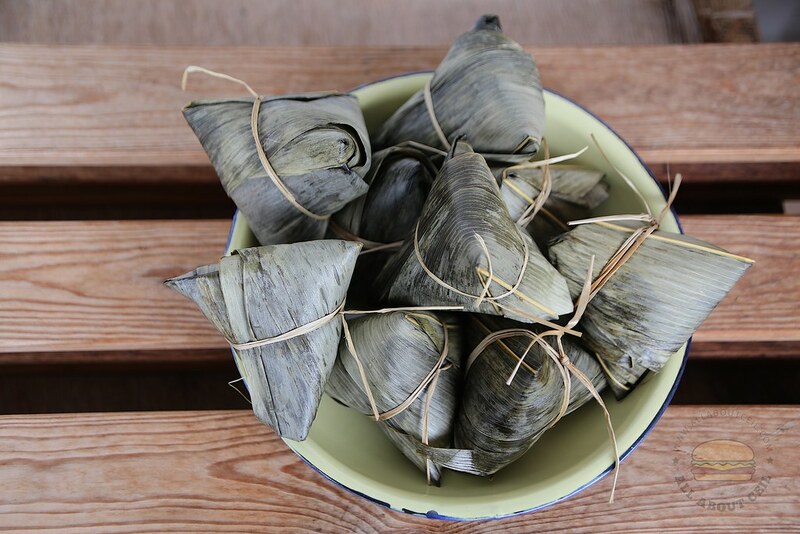 It is still prepared in the traditional method, the rice is first steamed then putting it with the filling to be wrapped in those bamboo leaves then steamed again. The intense blue color in the rice is derived from the Blue Pea. Each piece consists of a generous amount of filling, it is soft and moist. It is, in my humble opinion, better than those that I used to order from Kim Choo Kueh Chang.